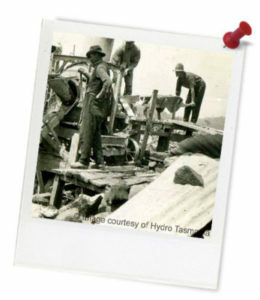 Quick summary: Students will learn about Hydro Tasmania’s history and transform an information text into an online timeline. Students will develop knowledge and understanding in the areas of sustainability and energy production. Important contributions to the advancement of science have been made by people from a range of cultures (ACSHE082). Scientific understandings, discoveries and inventions are used to solve problems that directly affect peoples’ lives (ACSHE100). Syllabus Outcomes: ST3-8ES, ST3-7PW, ST3-6PW. Level of teacher scaffolding: Medium – oversee activity, assist with defining difficult words. Resources required: A powerful century – Information sheet, Internet access, Student Worksheet (one copy per student OR computers/tablets to access the online worksheet). 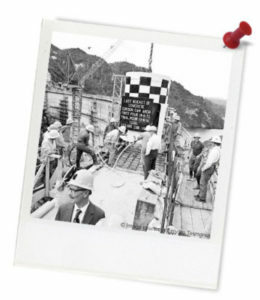 Digital technology opportunities: Online timeline creation (e.g. Capzles or Dipity), digital sharing capabilities. Keywords: Energy, hydropower, timeline, Hydro Tasmania. Overarching learning goal: By participating in this activity students will develop knowledge and understanding in the areas of sustainability and energy production. Thought starter: How many different types of energy are there? 1. Read the Introduction to Hydro Tasmania below. 2. Read the separate A powerful century - Information sheet. 3. With your teacher’s help, define the tricky words from the Information Sheet numbered 1 to 12 in the spaces below. 4. In the spare space below, make some summary notes to help you with Step 5. 5. Using Capzles or Dipity (check with your teacher), construct a detailed timeline showing all of the important events and details from the Information Sheet. Mark the events with specific dates or at least eras.